Anyone who follows us closely will know that we will stop at nothing to source the best start-ups. That means travelling across the globe, come rain or storm, relentless in our pursuit of excellence. 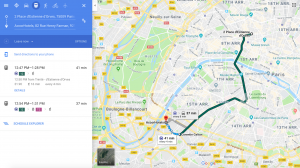 Or sometimes that means hopping across Paris on the metro for 40 minutes. Not all heroes wear capes. 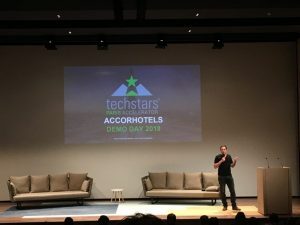 On Monday we were at Techstars Paris, hosted at AccorHotels’ Headquarters in Issy Les Moulineaux. On the agenda: watching Techstars Paris’s accelerator programme start-ups pitch-battle it out on stage. The 3-month programme has top corporate partners including FDJ, Groupe Renault and now Accor, and a diverse range of mentors from places like Youtube and Kickstarter. The influence of our host AccorHotels was certainly present – these international start-ups had clear links to hospitality despite operating in very different sectors. And we got an overview of AccorHotels’ digital strategy, as they seek to stay ahead in a rapidly transforming industry. Techstar Paris is everything we love, a worldwide initiative that harnesses the power and expertise of corporates to propel start-ups forward. We believe it’s in the creation of meaningful partnerships between start-ups and corporates that we can best disrupt through technology – and with that, industries are reshaped for the better. Are you a fellow disruptor who wants to back the global champions of tomorrow? We want you on board. 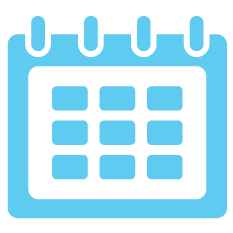 Or are you an early-stage tech start-up with a mission to shape the world through innovation? Apply to our platform today to get funded, scale your business, and get access to unparalleled resources.